Powder-based spray that creates volume and provides structure. It is dry and gives a matt finish with a fresh feel between shampoos. Suitable for both long and short hair. 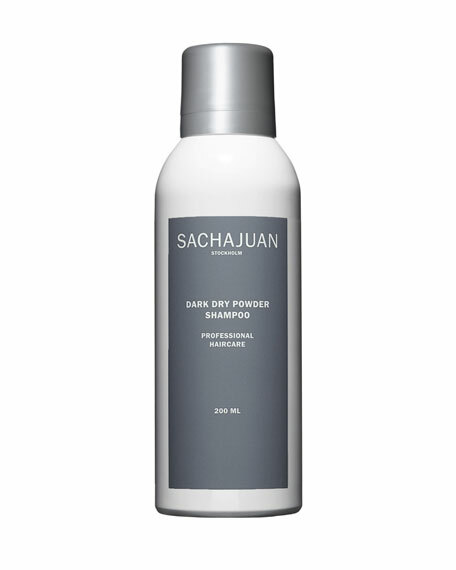 Dark dry powder shampoo also contains pigments to better suit darker hair. These pigments also helps cover the re growth on darker coloured hair. Shake the bottle well before applying. Spray on to the scalp from a distance of about 10 cm on dry hair and allow it to dry. Remove any surplus and style with your fingers. Protect clothing from the powder when applying. Do not hold can upside down when applying. For all hairtypes. Can be used to extend styles between washes. For in-store inquiries, use sku #2482891.